The Lake District offers some of the best walking in the British Isles, and contained within this book are 30 of the best low-level walks within the Lake District. This is an area that is justly famed for its magnificent scenery: from serene lakes and wooded valleys to spectacular hills and hidden tarns. 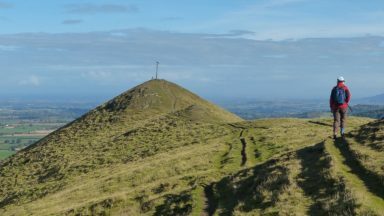 But you don’t have to climb its highest mountains to appreciate this beauty; some of the region’s best walking can be enjoyed in the valleys and on the low fells. Those who are new to walking in this much beloved corner of England will find gentle strolls, such as the circuit of Buttermere, as well as walks that provide a straight forward introduction to the low fells, such as High Rigg. With her intimate knowledge of the National Park, Vivienne Crow knows just where to go to experience the best of the Lake District. In this book, she guides walkers to well-known beauty spots as well as some hidden gems – with background information on both the human and natural history adding to the experience. The map extracts used in this book are from the Ordnance Survey’s 1:50,000 Landranger series. They are meant as a guide only and walkers are advised to purchase the relevant map(s) – and know how to navigate using them. The whole area is covered by sheets 89, 90, 96 and 97. The OS 1:25,000 Explorer series provides greater detail, showing field boundaries as well as access land. To complete all the walks in this guide using Explorer maps, you’ll need sheets OL4, OL5, OL6 and OL7. Harvey publishes an excellent series of Superwalker maps at the 1:25,000 scale. Its six Lakeland maps cover most of the Lake District National Park. Some of the path furniture on walk 17 (Loweswater Corpse Road) has changed. The ‘small wooden bridge’ across Highnook Beck (page 110, paragraph two) no longer exists, but it is easy enough to step across the beck in normal conditions. When the route leaves the old corpse road by crossing a ladder stile to the right of the bridleway (page 113, paragraph one), the fingerpost now indicates this is the way to Hudson Place – not Loweswater as stated in the book. The stile just after the buildings at Jenkinson Place no longer exists (page 113, paragraph two). Use the gate instead. "This is a beautiful and valuable little book; perfect for any day out in England's beautiful Lake District." "All in all a great little book full of walks and glossy photographs to get your ramblers juices flowing. The book quality in your hand is spot on and it only measures 7 x 5 inches. 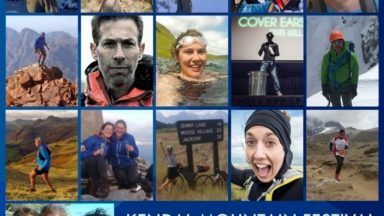 As a hiker of 30 years on and off I can happily recommend this guide." "This book appealed to me greatly with its less common take on the Lake District - with the exception of a few elevated sections, mostly low level walking away from the peaks. 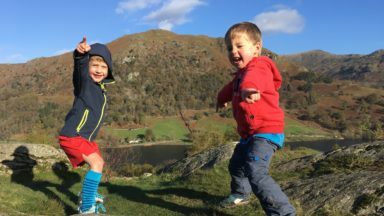 Please don't think that means uninspiring scenery though, because in addition to the lakes themselves, the treks also bypass tarns, waterfalls, stone bridges and ancient forest, often with the fells as an imposing backdrop." "It's clear the author is very knowledgeable about the Lakes and loves the place herself, which adds to the enjoyment for the reader/user of the guide - the love of the scenery and landscape comes across. We haven't used a Cicerone guide book in the Lakes before as far as I can remember but after reading this one we will certainly be taking it with us and using it next time, and would definitely look at other walking/guide books by this publisher now. 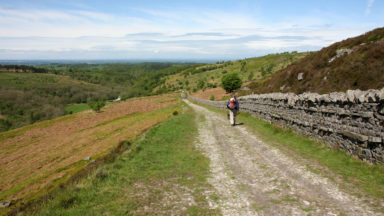 I'm really looking forward to doing some of these walks next time we go!" "Heavy boots and heavier rucksacks may propel the hardy hillwalker to the bold, bare heights. 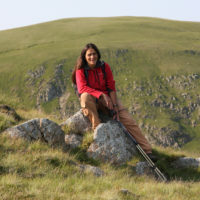 Helvellyn, Skiddaw, Scafell and Blencathra provide their challenges and their exhilirations. But for others of less aspiring inclinations, there can be equally inspiring options. Forget the strenuous hikes up daunting summits. 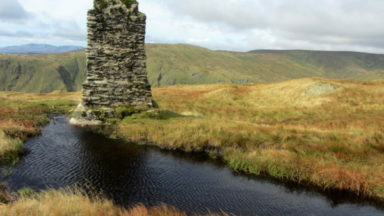 Ramble in the valleys or stroll up gentle fells. The rewards are just as great. Vivienne Crow's little book is the perfect guide - she tells you of every twist and turn of the track, every stumpy signpost and wooden kissing-gate - and she is so enthusiastic you will want to put your walking shoes on and get out there straight away." 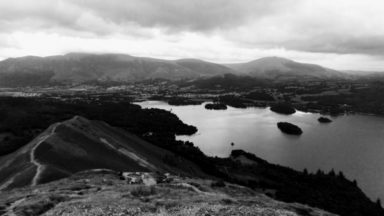 Low Level and Lake Walks is not only a good introduction to walking in the Lake District but also the ideal guide for that gentle walk the day after a strenuous hike on the hill."